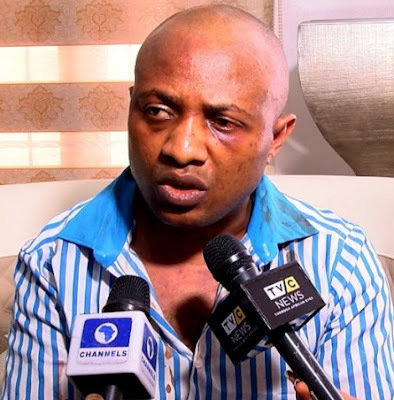 In one of his revelations, infamous kidnap gang leader Evans explained how he once hijacked a bullion van and took two hundred million naira from it during a robbery operation carries out by members of “Too Much Money” gang in Abia State. enough asisa continue till u die,no peace for d wicked,u live in posh mansion,driving flashy car,in august meeting ur wife will come with flshy car ,some ignorant youth will like to be like you without knowing u are ekperima ,onyeori,thief. 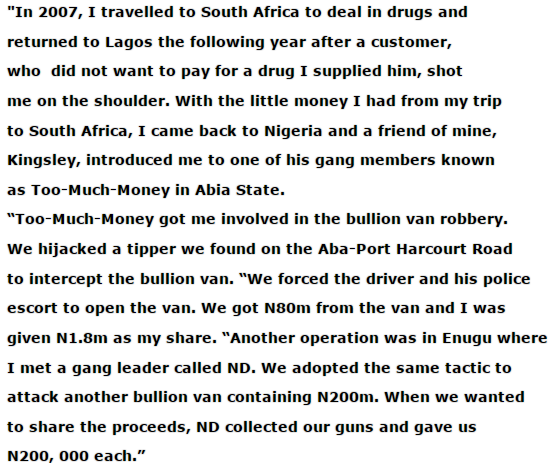 True confession from someone’s father, husband, uncle and son! This is the real Baddo.